November: Release of Man Gave Names To All The Animals/When You Gonna Wake Up? single. 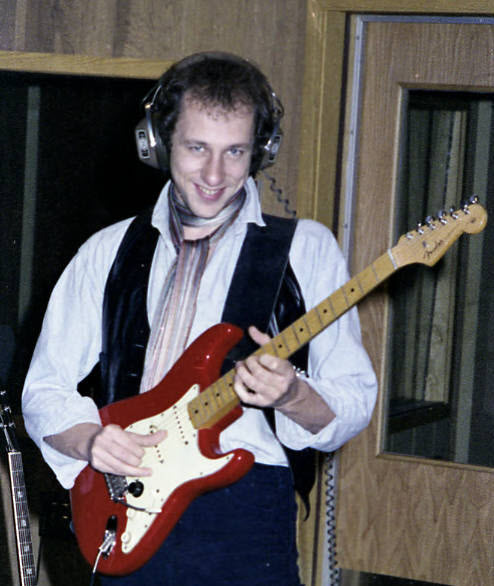 Dylan first heard Mark Knopfler when assistant and engineer Arthur Rosato played him the Dire Straits single, “Sultans of Swing“. 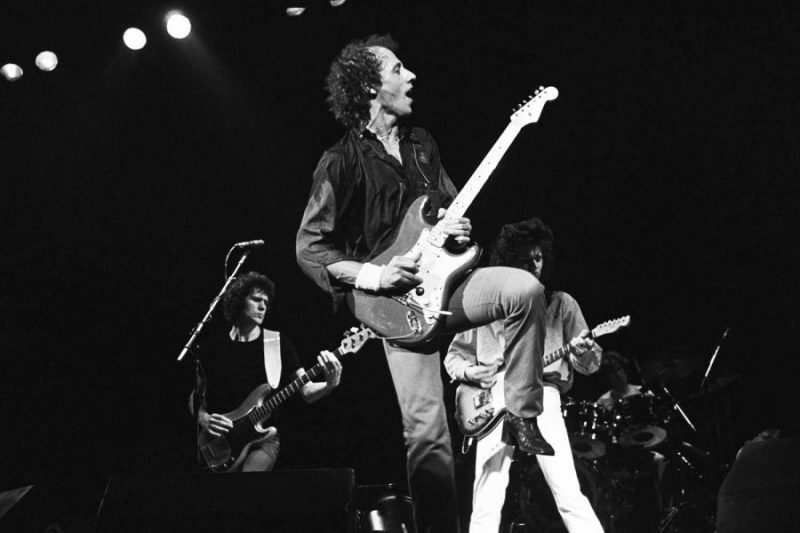 Later, on March 29, 1979, Dylan caught the final show of a Dire Straits’ residency at the Roxy in Los Angeles, California. 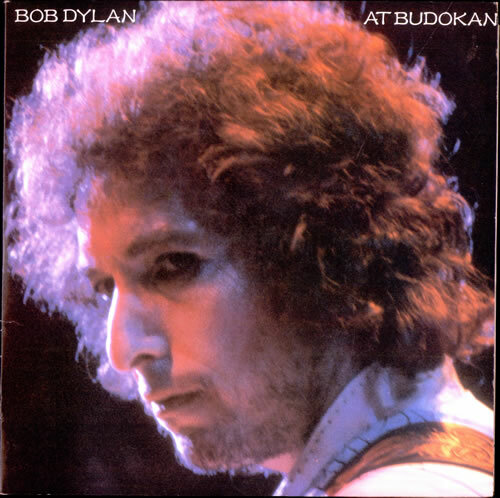 Dylan approached Knopfler after the show, asking the guitarist to participate on his next album. Knopfler agreed, unaware of the religious nature of the material that awaited him. Source: The Fiddler Now Upspoke, pp. 225-227. 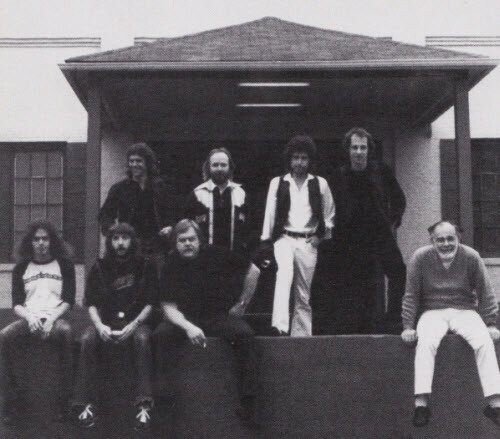 On December 7th, the day before the first of Dylan’s two shows in Tucson, Bob was interviewed over the telephone by DJ Bruce Heiman for KMEX, the local Tucson radio station. The subject matter is limited to Dylan’s opinion of the activities and views of the American Atheists Association. 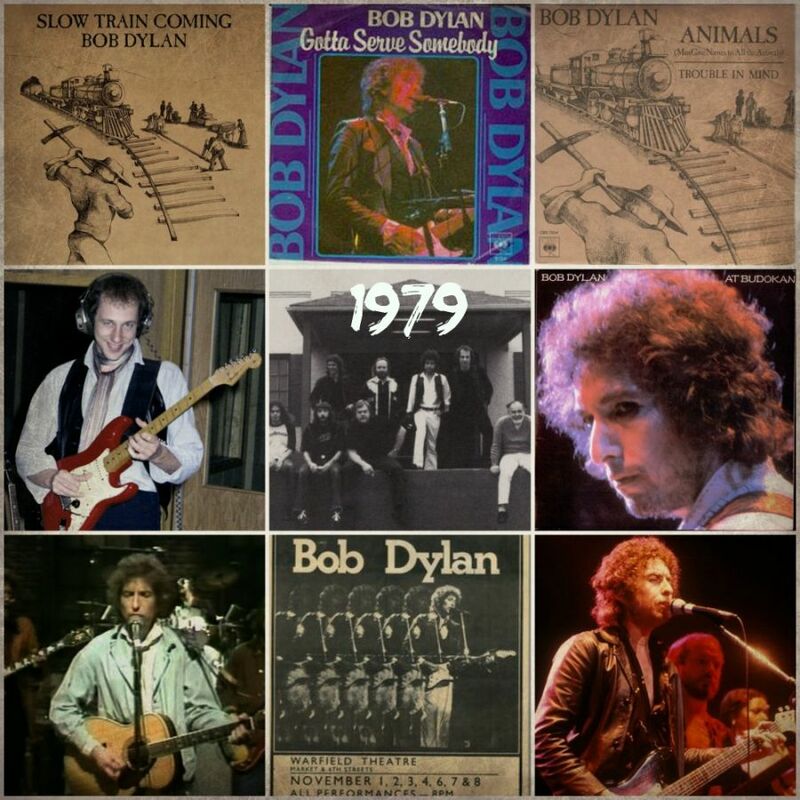 Dylan, at the time, was in Hollywood. Taken from the circulating tape. BH: OK. My name is Bruce Heiman. I’m with KMEX radio here in Tucson. OK. We got a press release from the Tucson chapter of the American Atheists and they said in response to your recent embrace of the born-again Christian movement, they plan to leaflet your upcoming concert. 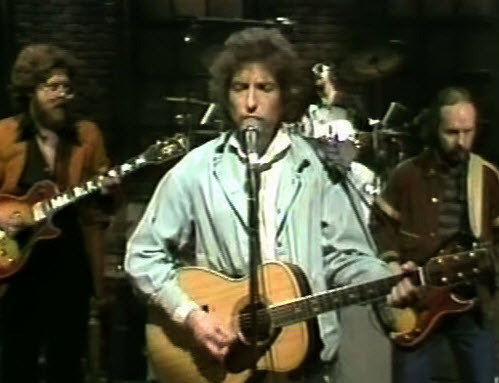 They say, recognizing the need to inform those in attendance that the new Dylan cause-celebre is a repressive and reactionary ideology, local members intend to attract attention to the contradictions between the previous content of your art form and the message which your songs now expound. BH: OK. It’s the American Atheists here in Tucson. BD: Is this a group? BH: Yeah, actually. The American Atheists is a worldwide group headed by Madeleine Mary O’Hara, and they have a chapter here in Tucson, and I think basically what they are talking about is your stand in the past and the type of music you played with the message you tried to get across and the music you’re playing today and the different message you’re trying to get across. BD: Yeah, well, whatever the old message was the Bible says, “All things become new, old things are passed away.” I guess this group doesn’t believe that. What is it exactly that they’re protesting? BD: Are they against the doctrine of Jesus Christ, or that he died on the cross or that man was born into sin? Just what exactly are they protesting? BD: Well, Christ is no religion. We’re not talking about religion… Jesus Christ is the way, the truth and the life. BH: There’s another statement they made that maybe you could shed some light on. 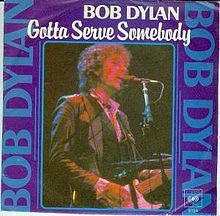 They said they would like to remind Dylan fans and audiences that one’s right to say something does not per se lend any validity to the statement. So, in essence, what they’re saying is that you have followers who are going to be at the concert and are going to listen to the message of your music. BD: Right. I follow God, so if my followers are following me, indirectly they’re gonna be following God too because I don’t sing any song which hasn’t been given to me by the Lord to sing. BH: OK. So I think that was one thing that they were concerned about. Do you have any idea what they mean… see, they believe that all religion is repressive and reactionary. BH: They say that your songs now expound passive acceptance of one’s fate. Do you agree with that? I’m not exactly sure what they mean by that. BD: I’m not exactly sure what they mean by that either. But I don’t feel that that is true. But I’m not quite sure what that means – “passive resistance to mans’ fate”. What is mans’ fate? BH: I don’t know. These aren’t my ideologies. These are just a group of Atheists. BD: Well, this ideology isn’t my ideology either. My ideology now would be coming out of the scripture. You see, I didn’t invent these things. These things have just been shown to me and I’ll stand on that faith, that they are true. I believe they’re true. I know they’re true. BH: Do you feel that the message of your music has changed over the years from music which talked about war to music that now talks about Christianity? BD: ...The spirit of the atheist will not prevail. I can tell you that much. It’s a deceiving spirit. BH: Why do you maintain that it won’t prevail? BD: Is it anti-God? Is an atheist anti-God? BH: Yes. I’m trying to think… I interviewed Madeleine Mary O’Hara a couple of weeks ago and she said that it is anti-religion, anti-God. I think that she was saying that anyone who believes in a supreme being is, to use her word, is stupid. So they are against anything to do with religion. BH: Sometimes it’s hard for me to grasp exactly what they are saying. BD: Well a religion which says you have to do certain things to get to God – they’re probably talking about that type of religion, which is a religion which is by works: you can enter into the Kingdom by what you do, what you wear, what you say, how many times a day you may pray, how many good deeds you may do. If that’s what they mean by religion, well that type of religion will not get you into the Kingdom, that’s true. However, there is a master creator, a supreme being in the universe. BH: Alright. 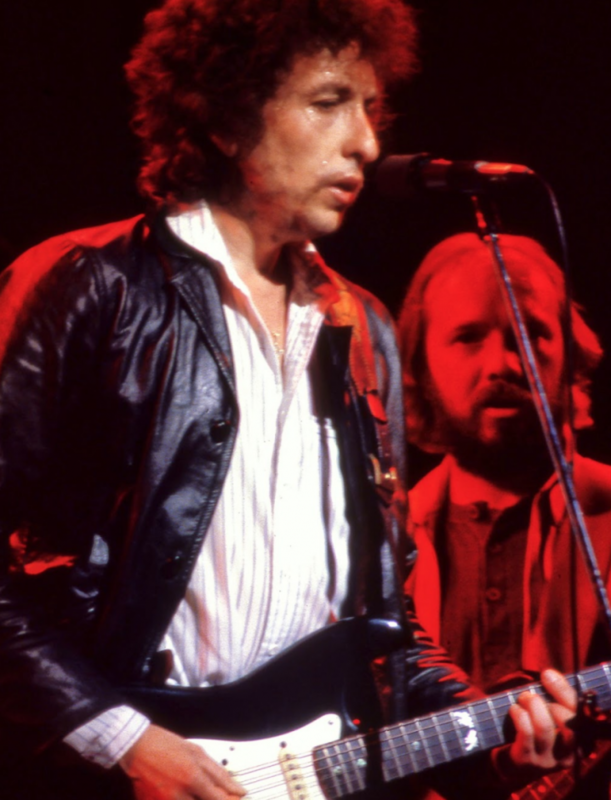 Now, in another one of their statements they say that: “For years Dylan cried out against the Masters of War and the power elite. 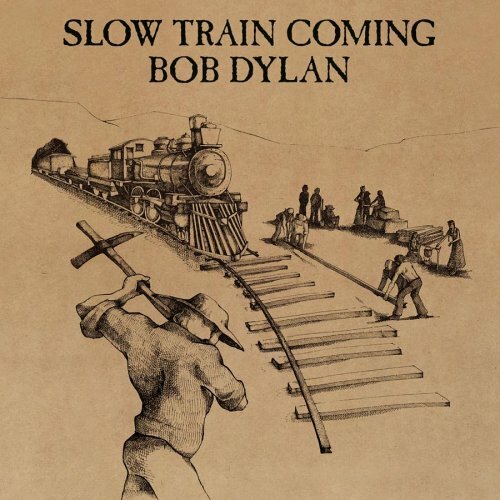 The new Dylan now proclaims that we must serve a new master, a master whose nebulous origins were ignorance, foolishness, stupidity and blind faith. 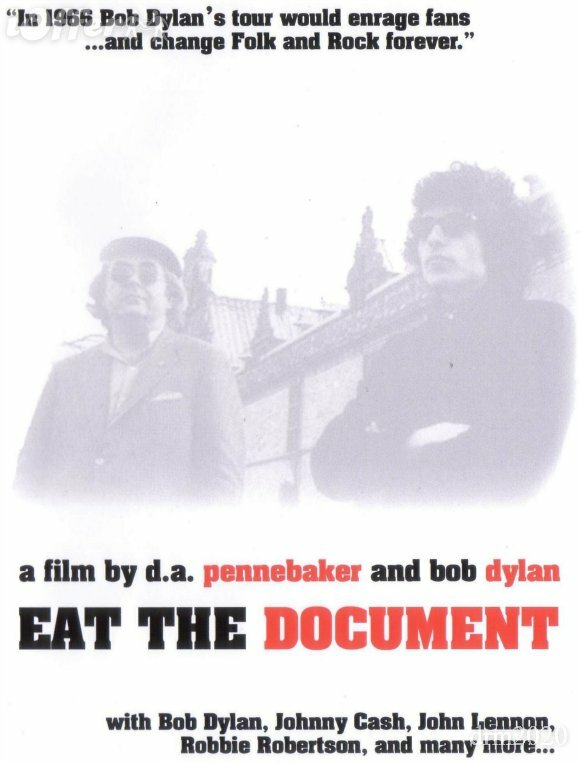 The Dylan who inspired us to look beyond banal textbooks and accepted ideologies now implores us to turn inward to the pages of the Holy Bible, a book filled with contradictions, inaccuracies, outrages and absurdities.” Now this is what they are saying. BD: Well, I don’t know that movement. Which movement are they talking about? The Atheist movement? BH: No, the Jesus movement. BD: Oh! Well, it isn’t a fraud. There’s nothing fraudulent about it. It’s all true. It always has been true. It is true and it will be true. BH: They’re calling upon your admirers, the people who support you, who will attend your concert, to go on and appreciate your art form but to avoid the psychological and social pitfalls – this is their words – or being victimized by your new-found religionist fantasy. BD: Well, they can’t do that. They should know about fantasy more than I. But, they can’t do that. You can’t separate the words from the music. I know people try to do that. But, they can’t do that. It’s like separating the foot from the knee. BH: You’re saying that it’s all one. BD: It is all one. BH: OK, Bob. I appreciate your time, I really do. Is this the meaning of the time for Bob? 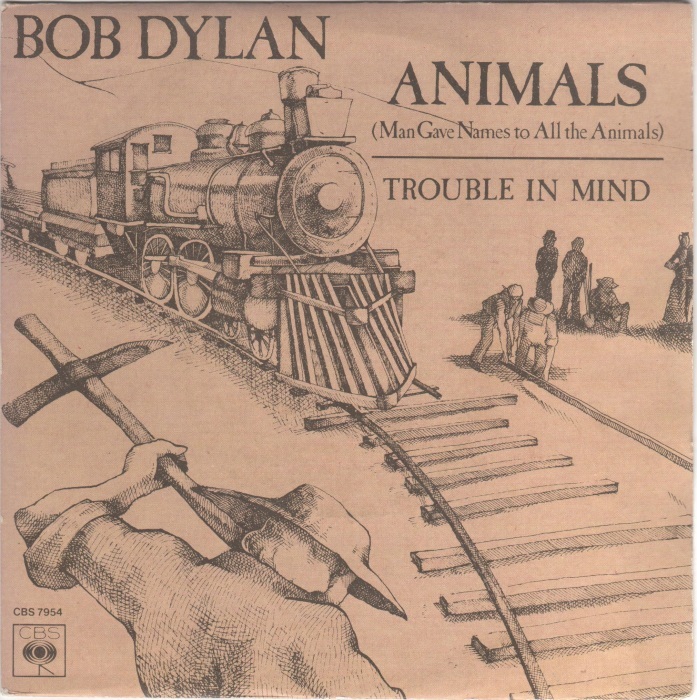 Had not previously had the pleasure of hearing “Trouble In Mind.” I like it; Is there a version somewhere that can be downloaded? I´m sure it´s available on different “outtakes” bootlegs, you could try to google for it.